Home » News » Roadburn Festival 2012 Audio Streams – Ancient VVisdom, Necro Deathmort, Huata, The Mount Fuji Doomjazz Corporation & More! Roadburn Festival 2012 Audio Streams – Ancient VVisdom, Necro Deathmort, Huata, The Mount Fuji Doomjazz Corporation & More! On the first day of Roadburn 2012, there were 26 different shows. On the second, 25. By the time Saturday ended, another 26 terrific sets had been delivered. And another 12 during the Afterburner. Obviously, only some kind of alien creature spawned by the imagination of Voivod‘s Michel “Away” Langevin would be able to catch them all. What is a mere mortal to do? Listen to the 2012 audio streams, of course! 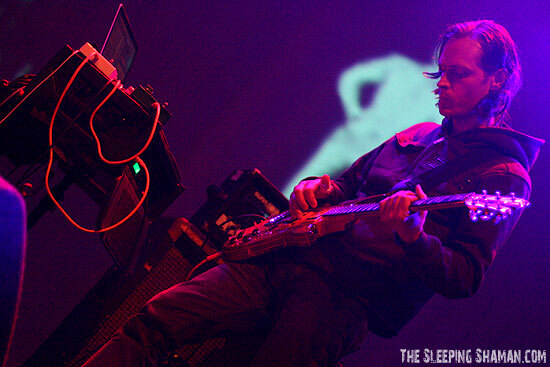 There is a treasure trove of transmissions from Planet Roadburn waiting to be discovered. Check out the shows you might have missed or want to relive. To those of you who could not be there: we hope you enjoy the virtual experience! The advent of the brand new VPRO site means that we can embed audio streams, making it that much easier for you to listen to them. Anything to accelerate the journey back to the outer limits of Roadburn 2012 euphoria! Listen to the audio streams for Ancient VVisdom, Anekdoten, Huata, Kong, Necro Deathmort, The Mount Fuji Doomjazz Corporation and Year Of The Goat below.